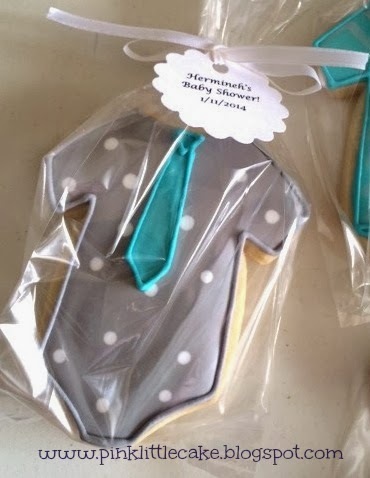 I love when party planners and moms think outside the box in terms of color for baby Shower themes. 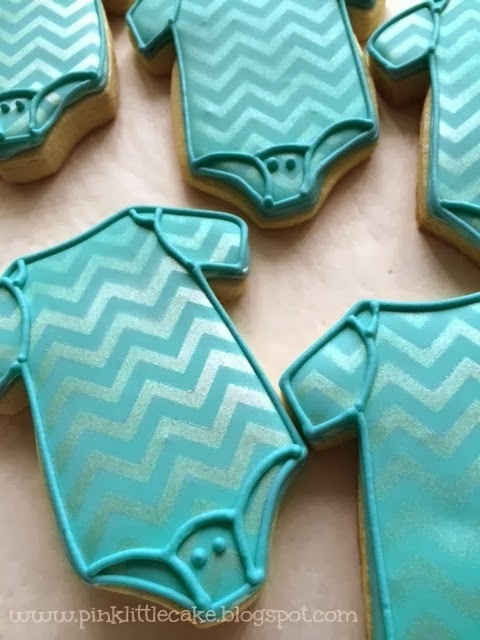 I made these cookies based on the design of the Baby Shower invitation, the silver chevron pattern is so light and elegant. 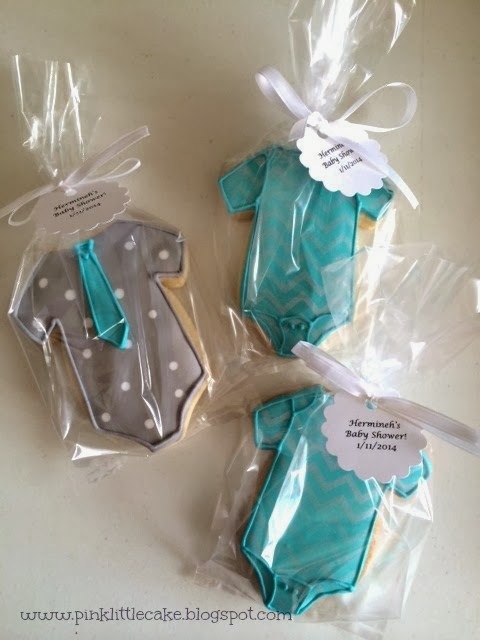 And these little tags are just too cute! 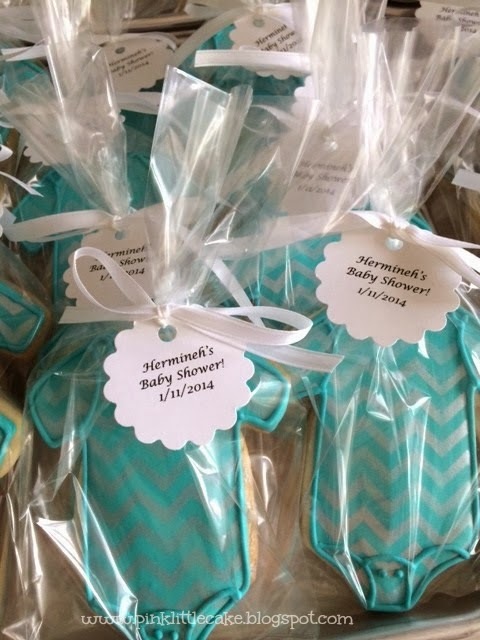 Cookies ready to pack and ship to California.